Americans do not appear to be overly concerned with the health of either candidate. According to a separate question in the poll conducted this week, most American adults said the issue would make "no difference" to how they voted. A negligible percentage of Clinton supporters said concerns about her health made them "less likely" to vote for her. Clinton led all candidates in a four-way poll of likely voters that included Gary Johnson of the Libertarian Party and Jill Stein of the Green Party. Seven percent of respondents supported Johnson, and 2 percent backed Stein. 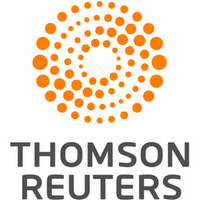 The Reuters/Ipsos poll is conducted online in English in all 50 states. The latest horserace poll surveyed 1,579 likely voters over the past week. The question on the candidates' health surveyed 1,179 American adults from Sept. 12-16. Both polls had a credibility interval, a measure of accuracy, of 3 percentage points. National polls have produced varying measurements of support during the 2016 campaign for Clinton and Trump. The differences are partly due to the fact that some polls, like Reuters/Ipsos, try to include only likely voters, while others include all registered voters. The Reuters/Ipsos tracking poll gathers responses every day and reports results twice a week, so it often detects trends in sentiment before most other polls. Polling aggregators, which calculate averages of major polls, have shown that Clinton's lead over Trump has been shrinking this month. The most recent individual polls put Clinton's advantage at 1 or 2 percentage points.